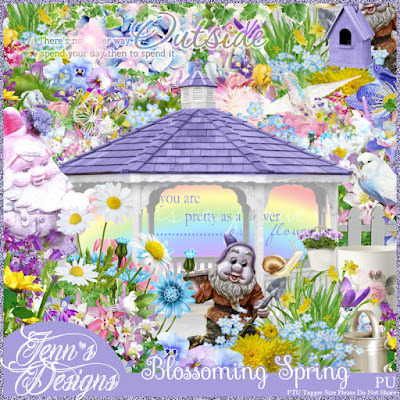 Blossoming Spring by designer Jenn’s Designs is a gorgeous scrap kit filled will all the pastel colors and greenery of Spring. This kit contains 105 Elements and 8 Papers. 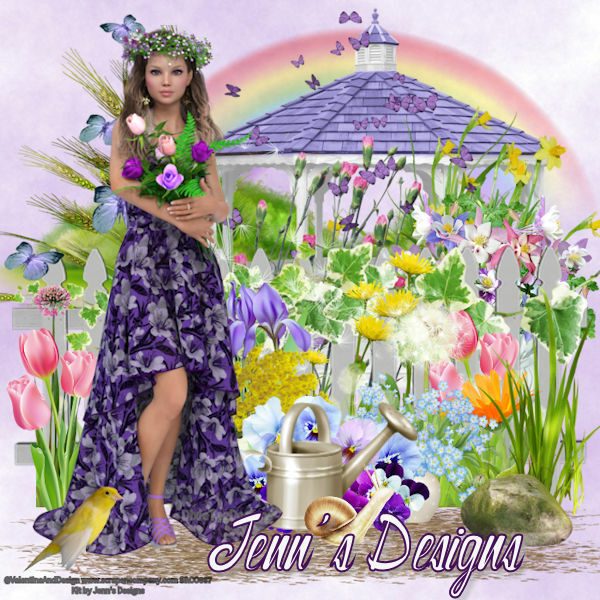 With this kit, you can create numerous tagging designs. Denise is a beautiful IRAY Rendered poser by artist ValentinaAndDesign. She has a beautiful Spring dress on with a crown of Spring flowers while holding a bouquet of flowers. You can purchase Blossoming Spring scrap kit Scraps And Company HERE. You can also get Denise at Scraps And Company HERE.